Your project calls for grout and you wonder if there are any safety considerations. What things do you need to do to protect yourself, your family or pets and your home while you are doing construction, repair or remodeling with grout? When you know the ingredients in grout, you can understand the steps you need to take to protect yourself. Not all grout has the same ingredients. Some are mostly concrete and water, others have epoxy and/or sand added to be used in various amounts. Some have pigments to give them a certain color. Understanding the risks with each of these ingredients is a significant step in safely using grout. Concrete can harm you in two ways -- breathing its dust and contacting your skin. You can limit your breathing concrete dust by wearing a dust mask and mixing it outside. Concrete is highly alkaline and can irritate the skin. Sand, another ingredient in grout, can scar the lungs if it is inhaled. Continual working with grout is known to cause dermatitis. Epoxy exposure can cause serious physical problems. Contact with skin can cause an allergic reaction with a rash that resembles poison oak. Inhaling epoxy fumes can damage your diaphragm and lungs. When working with epoxy, avoid scratching the tip of your nose, rubbing your eyes or wiping your forehead with the gloved hand with epoxy. Protecting yourself from concrete, sand, epoxy and pigments is easily achieved by using a few items. PVC, latex or rubber gloves will protect your hands and wrists. These are available at many grocery stores. 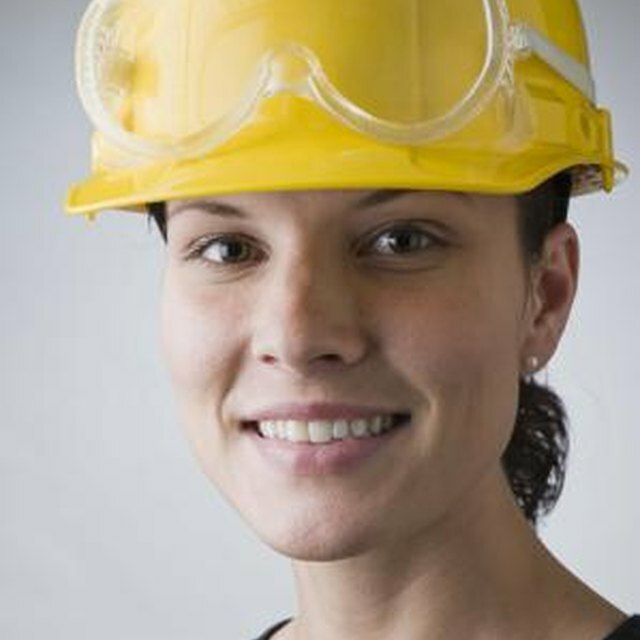 Safety goggles keep splatters from reaching your eyes or your glasses. A breathing mask filters out the fine particles that might damage your airways. Consider the size of the project and the amount of exposure you anticipate. If it is a large project, you can purchase a disposable or recyclable Tyvek coverall, with or without a hood and protective footwear. These are available on eBay or check a local paint store. These four objects will protect you from the various ways grout contact might damage you. The other essential safety procedures are to make sure you use the correct tools, and have all the things you need before you start your project. Plan enough time, so you are not rushed. It really helps to add 25 percent more time than you think you need, so you are not rushed and allow for contingencies. Grout can be used only a short while after its mixed before it becomes too hard to use, so mix it in reasonable batches for your project. Plan how to dispose of excess grout if you have any left over. Make sure you are not too tired or impaired by stress to do your job carefully and thoroughly. Using your understanding of the risks and taking easy precautions will make sure you stay healthy as you complete your project.